Special prayers offered to Prabhu Shriram for establishing ‘Ramrajya’ and construction of ‘Ram Mandir’ ! 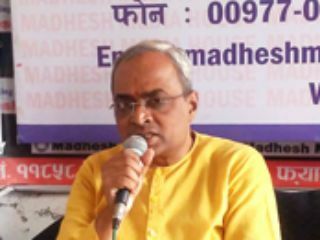 HJS and all pro-Hindu organizations undertake ‘Shriram Naamsankeertan’ drive at more than 100 places all over the country on the occasion of ‘Ram Navami’ ! Mumbai : Prabhu Shriram, worshipped by billions of Hindus, was born in the city of Ayodhya and it is a historical and religious truth. 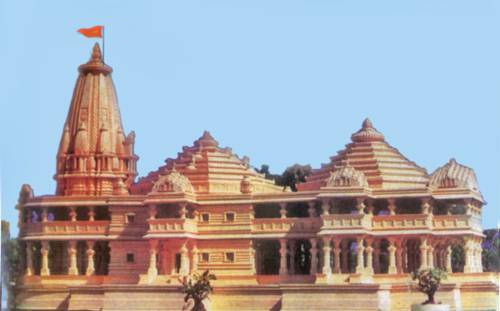 Even then, construction of Ram Mandir is pending for more than 490 years. None of the ruling parties after independence or any of their leaders has so far, taken any concrete step towards construction of Ram Mandir. Rama was a very judicious King and ruled with justice; but such ‘Ramalalla’ is kept in a tent today. Hearing of ‘Ram Mandir’ case for passing final verdict is not on the priority list of Court; therefore, hearing is continuously getting postponed. As such, Hindus have no alternative but to offer special prayers to Prabhu Shriram for establishing ‘Ramrajya’ in this country and for construction of ‘Ram Mandir’. 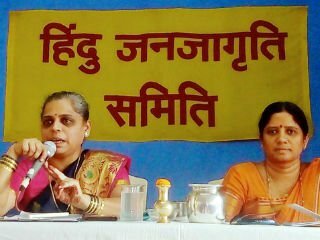 Hindu Janajagruti Samiti (HJS) and all pro-Hindu organizations, therefore, undertook a drive called ‘Shriram Naam-sankeertan Abhiyan’ at more than 100 places all over the country. 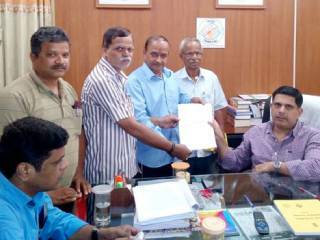 It has been informed by HJS through its press release that special prayers were offered at temples at these places seeking Shriram’s grace for construction of ‘Ram Mandir’ and establishing ‘Ramrajya’ in this country by removing all obstacles faced in the process. All Hindus prayed to Shriram for ‘Ram Mandir’ ! It has been further stated in the press release that Allahabad High Court had passed a verdict in 2010 confirming that ‘Shriram-janma-bhoomi’ belonged to Shriram; still the dispute is pending in Supreme Court for last 8 years. Muslims from all over the world visit Mecca-Medina, being their places of worship while Christians go to Jerusalem which is their place of pilgrimage. In India, however, the Government claiming to be secular, extends grants for such pilgrimages; but imposes ban on performing simple ‘puja’ of Shriram at the birth place of Shiram which is also a place of pilgrimage for Hindus who are majority population in this country. It is beyond understanding and injustice done to Hindus. 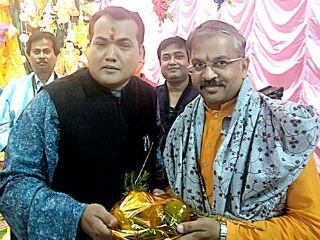 Now, Hindus have Prabhu Shriram as the only support; hence, all Hindus should make special prayers to Shriram for fulfilling their wish of construction of Ram Mandir and establishing Hindu Rashtra. 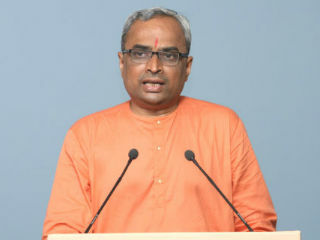 Regularly chant Shriram’s name and make prayers to Him was the appeal made by HJS to all Hindus. Rule of Shrīrām, which also means the rule of righteousness.